Two, full-size box trucks held 348 boxes of diapers, 72 diaper packages, 69 Pull-Ups® training pants and 164 diaper wipes. MOMS Orange County will be able to distribute more than 66,000 individual diapers to the families they serve. HomeAid Orange County has the sole vision and purpose to end homelessness through its mission of building new lives for homeless families and individuals through housing and community outreach. Since 1989, HomeAid Orange County – founded by the Building Industry Association of Southern California’s Orange County Chapter, has developed 55 shelters, adding more than 1,139 shelter beds throughout Orange County that have served more than 55,000 homeless men, women and children. 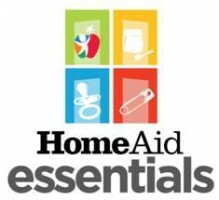 To learn more visit www.homeaide.org. For 24 years, MOMS Orange County has been helping at-risk mothers and their families have healthy babies by providing access to prenatal care, health screenings, infant development screenings, health education and referral services through monthly home visits and group classes. Mothers receive one-on-one education and support during pregnancy to help increase their chance of delivering a healthy baby. After babies are born, the focus turns to promoting their healthy growth and development so they grow up happy, healthy and ready to learn. To learn more about MOMS Orange County, visit www.momsorangecounty.org.